WASHINGTON — The U.S. Supreme Court made an interesting decision in sending an affirmative action lawsuit back to the lower courts to reconsider. The case, Fisher v. Texas, pitted a white law school applicant against the admission standards of the University of Texas. Reuters reports that the Supreme Court ruled by an overwhelming majority that several points had to be clarified for the court to make a decisive decision in favor of one party or the other. The court ruled 7-1 to send the case back to the lower courts. 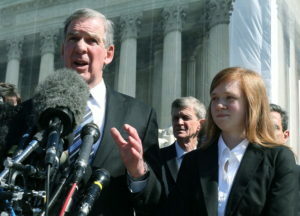 The plaintiff, Abigail Fisher, said that the race-based admissions of the University of Texas law school discriminates against white students like her and favors minorities. Her main argument is that her application was wrongly rejected to gain entry into the law school while minority students with similar grades and test scores were admitted due to race-based admissions.